Officer Lisa Sandel and Officer Mark Fleming were killed in an automobile accident while chasing a stolen vehicle. During the pursuit the police car spun out of control and struck another vehicle head-on. 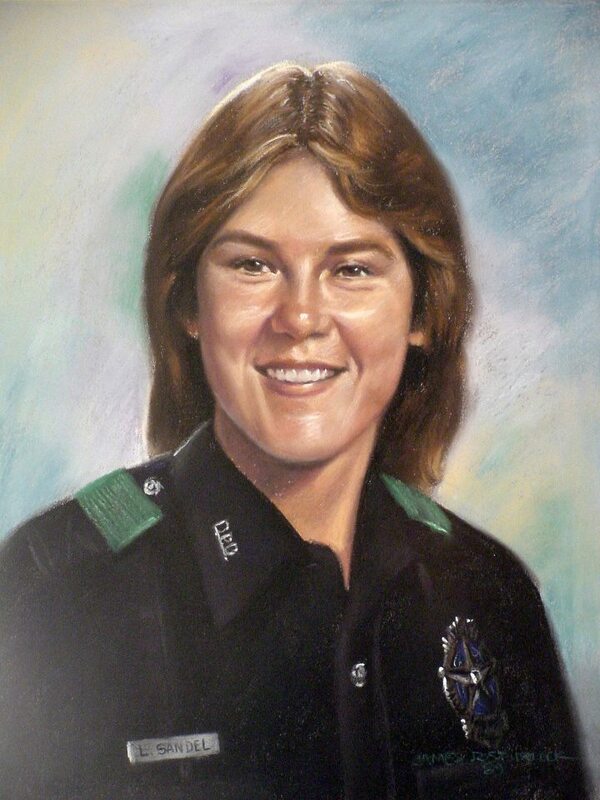 Officer Sandel succumbed to her injuries at the scene and Officer Fleming succumbed to his injuries the next day. The subject they were chasing was apprehended two days later and sentenced to two 10 year sentences for manslaughter. Officer Sandel had served with the Dallas Police Department for two years. She was survived by her parents, sister, and two brothers. This weekend makes 30 years since you sacrificed it all in the service of others. But, even though it has been many years, you are not forgotten. You were one of the best officers I ever served with. I still miss you.